It’s an emotional time at Prince William and Duchess Kate’s place/palace right now, with the very sad anniversary of Princess Diana’s death being marked across the globe AND their eldest child, bonny Prince George about to start school. Kensington Palace have just cheerily announced that the little prince’s mum and dad will both join him for his very first school run. We look forward to catching a glimpse of that very relatable morning. But it’s obviously not all cheery times for this family at the moment. We’re guessing there have been some sleepless nights and stressed-out parents as two huge pressures come to bear. On one hand a new outpouring of grief at the loss of Diana. On the other, the special moment when a little boy starts his school career. We need a stiff G&T just thinking about it. And it’s breakfast time as we hit publish on this piece. We can’t imagine how Kate and William are feeling. Four-year-old George will start school at the £17,604 a year Thomas’ Battersea School on Thursday, at around our (Australian) dinner time. No doubt the Kensington Royals’ Instagram will mark the occasion, but for now it’s loaded with shots of the young royals paying tribute to the grandmother George never got to meet. It’s all pretty bittersweet and we don’t blame you if you’re reaching for a hankie right now. George, Kate and Wills’ first school run heralds a new routine for the family. They will now be based full-time at Kensington Palace as William prepares for a much fuller program of royal duties to support The Queen in the wake of Prince Philip’s retirement. 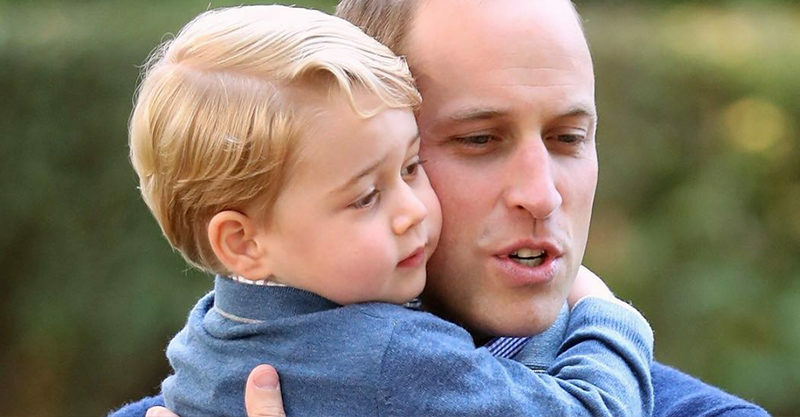 Two-year-old Princess Charlotte also has some big changes afoot, as she’ll apparently be starting nursery school shortly too. Some outlets are reporting that Kate and William have chosen the Thomas’ Battersea School’s nursery for the little princess, keeping her close to her big brother, but this is yet to be confirmed. In other words they’re stoked to have the Royal seal of approval! 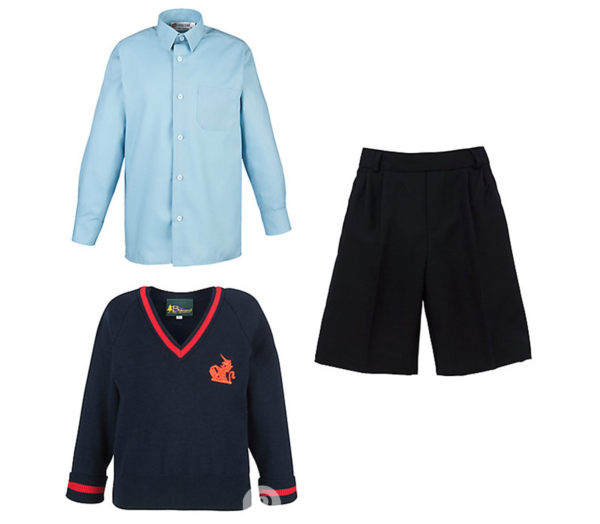 Scroll down to see George’s school uniform. Because… adorable!